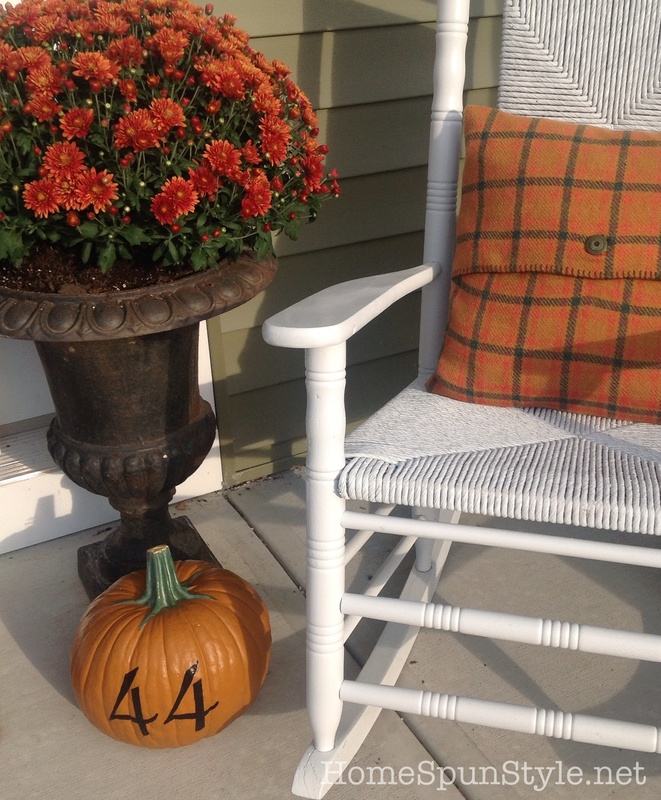 I love fall and recently spent a little time adding a few fall touches to my front porch. 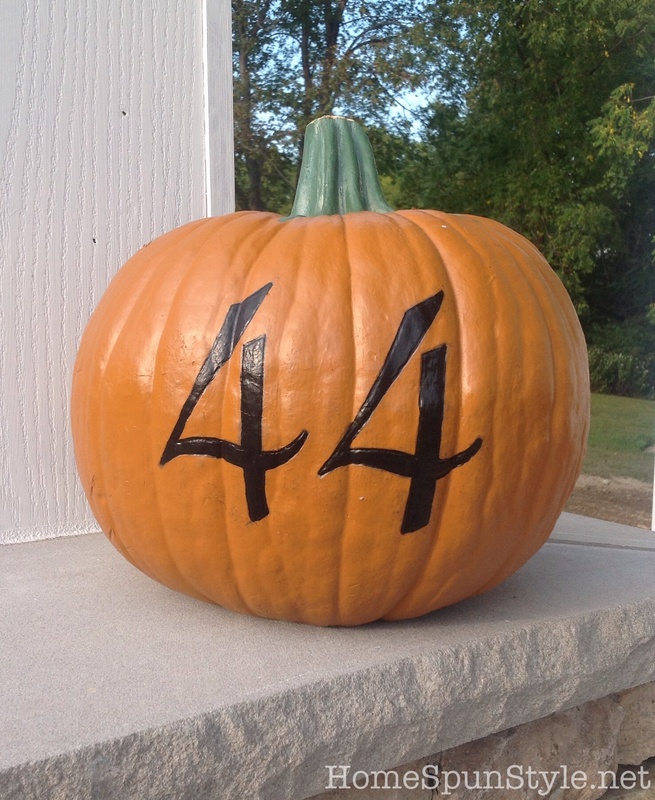 If you follow our blog, then you know that one of my go to craft projects is hand painting numbers on just about anything. 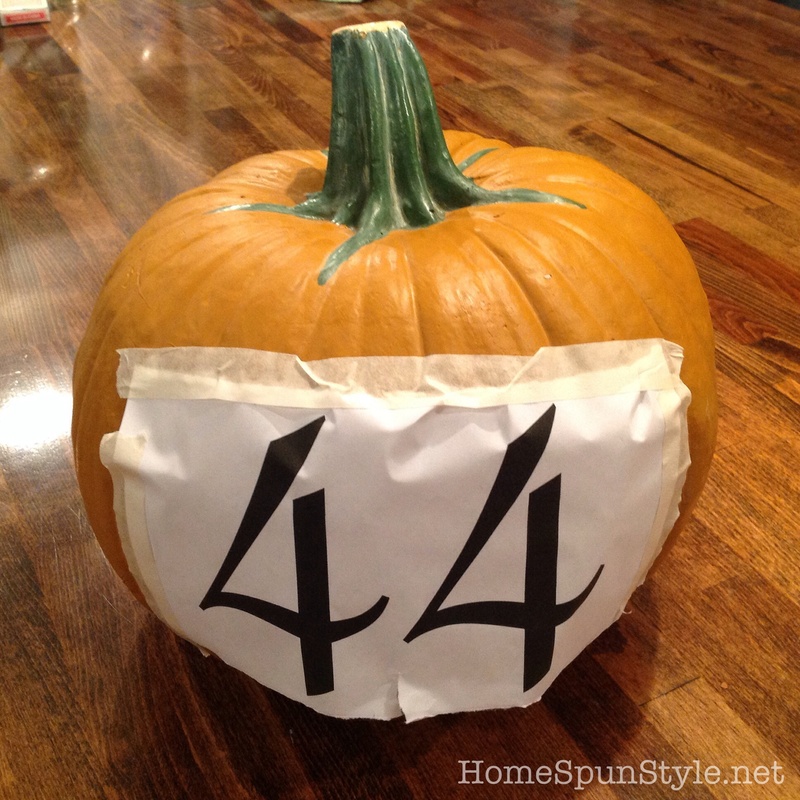 Just like in previous projects, I printed out the numbers using Word, rubbed across the numbers with a graphite pencil, and then taped the paper to the face of a faux pumpkin. 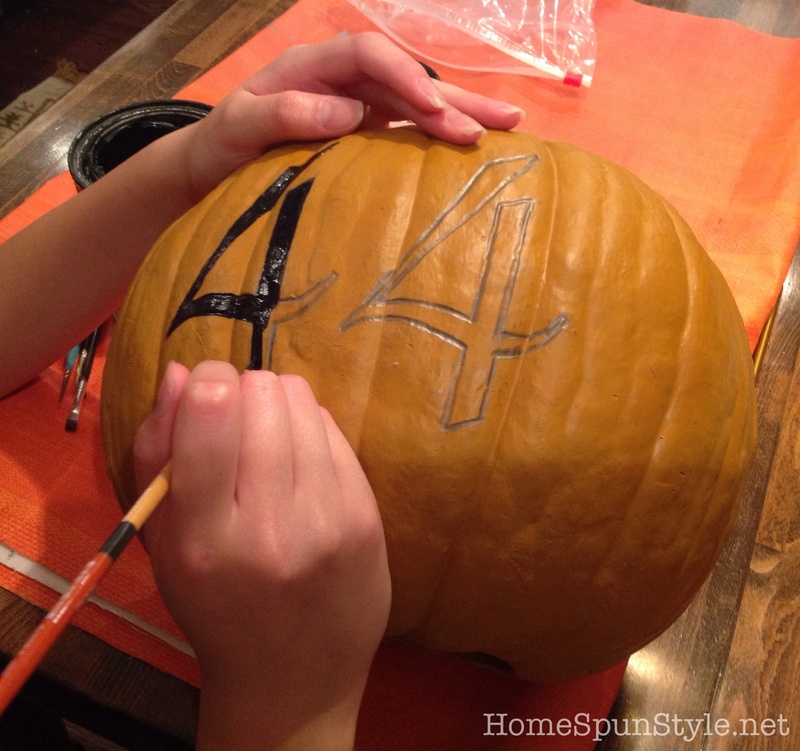 The surface of the pumpkin is curved and a bit bumpy which makes taping to it challenging but the method still works fine. Then we traced over the numbers, pressing firmly with the pencil. 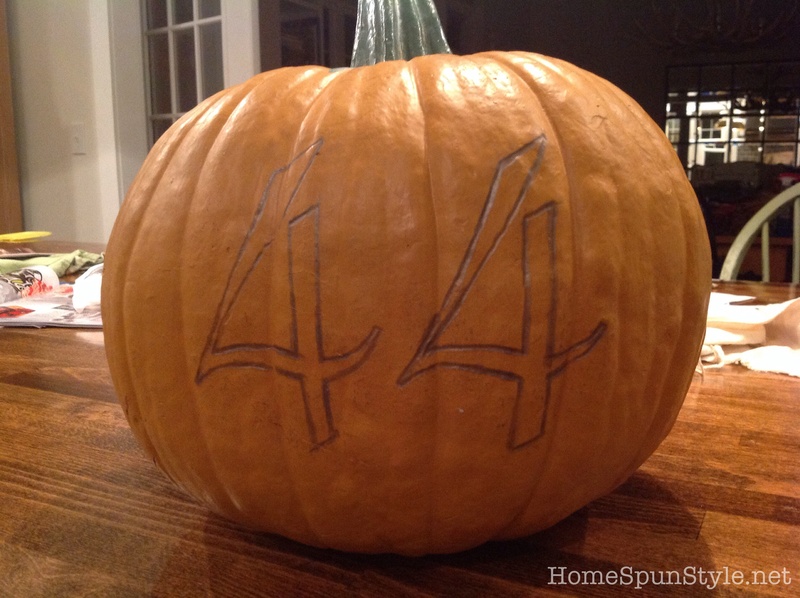 Because the pumpkin is soft,the pressure of the pencil created a groove around each number. This made it even easier to paint them. We used black satin interior/exterior paint that I had on hand and a very fine paintbrush. 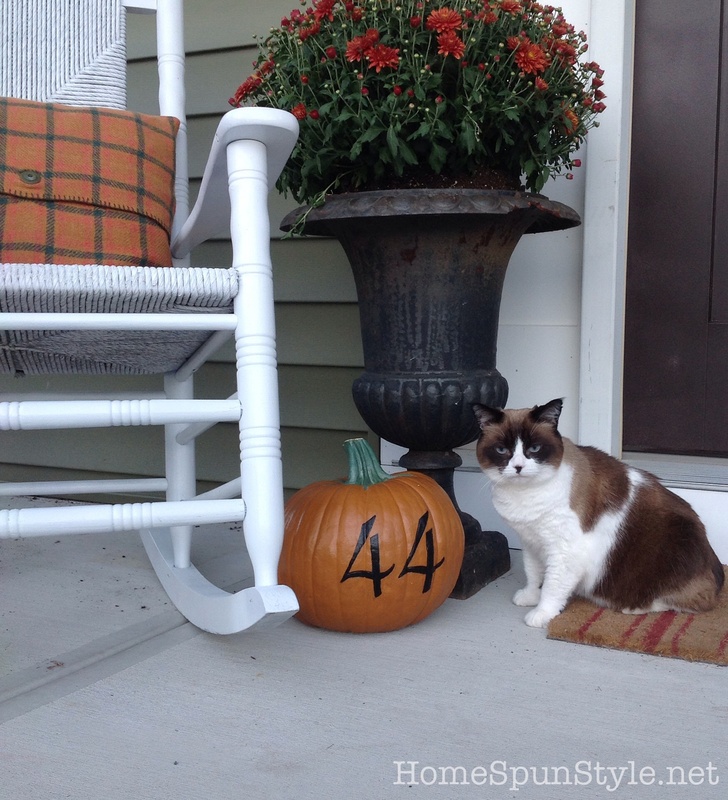 While I used a faux pumpkin, a real pumpkin would probably also work fine. These projects could also be accomplished using a stencil or stickers. I prefer the transfer method though because it costs next to nothing and doesn’t necessitate running to the store for supplies when inspiration strikes!